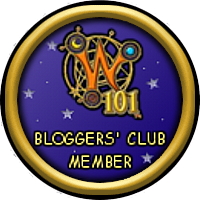 Hello fellow Avernus Daredevils and Dragonspyre masters (the official badges of this site)! I would like to talk about what is coming up for the following year. 1 Buying an official domain. This will bring me one step closer too becoming an official site. Which means contests! 2 Becoming an official site, this is a hope not a guarantee, just continue to show your support and hopefully we can get there! 3 Allot more posts. Hopefully I can do a ton of posts, just send me ideas on what you want and you will almost always see your ideas published! 4 Finish the new fan fiction. I'm waiting till next year to start it, I want to finish it and hopefully get onto the next one. 5 Make all of you laugh more. I'm hoping to do allot more funny posts to make you laugh more. I hope you will enjoy them! 6 This ones for you, I want to get more feedback from all of you, so that's one of my goals for the new year. only six things for now, I hope you all have a good day! May the winds and spells be in your favor!